Monica J. O’Rourke has published more than seventy-five short stories in magazines such as Postscripts, Nasty Piece of Work, Fangoria, Flesh & Blood, Nemonymous, and Brutarian and anthologies such as Horror for Good (for charity), The Mammoth Book of the Kama Sutra, The Best of Horrorfind, and Darkness Rising. She is the author of Poisoning Eros, written with Wrath James White, Suffer the Flesh, and the collection Experiments in Human Nature. 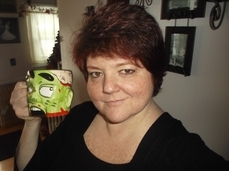 She works as a freelance editor, proofreader, and book coach. Her website is an ongoing and seemingly endless work in progress, so in the meantime find her on www.facebook.com/MonicaJORourke. Monica's story, "Bloodshed Fred," appears in Uncommon Assassins.